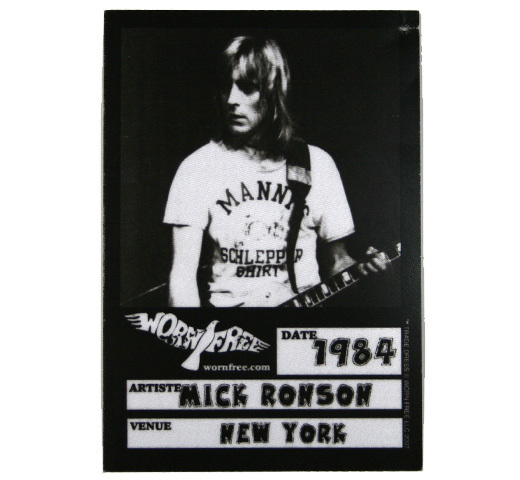 【Worn Free】 Mick Ronson / Mannys Sweatshirt (Red) - Rudy & Co. In 1966, Mick Ronson was in a band called The Rats. They recorded for UK Decca ＆ Oriole record labels. The Rats split in ’69. The following year David Bowie put together a band and recruited Ronson. 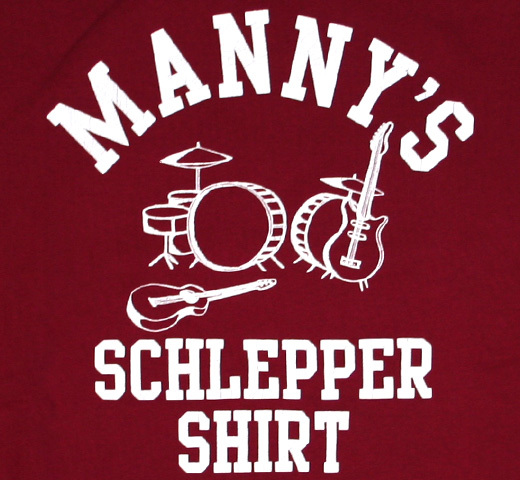 The Mannys T-Shirt that Mick is wearing is From Manny’s Music Store - The “original music super-store” Manny’s has been a New York institution since it opened in 1935. 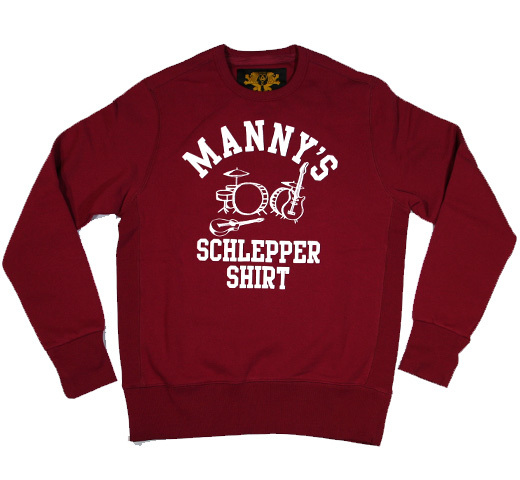 Manny’s quickly became known as the store where the stars shop, everyone from Jimi Hendrix to Mick Jagger have bought equipment from Manny’s.